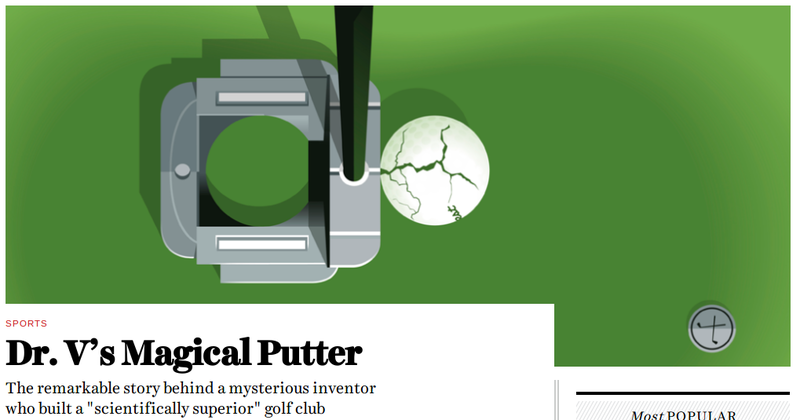 At some point during the writing, however, Caleb Hannan’s piece stopped being about golf equipment and started being an investigative piece about Dr. Vanderbilt, who appeared to have invented some aspects of her past. Then came the terrible conclusion: Vanderbilt, who had been born with male sexual characteristics and had manufactured most of her history as an inventor, committed suicide just before the Grantland piece was published. As with many others who were critical of the story, I found it extremely disturbing, especially the cold and unfeeling way in which Hannan treated his discovery of Vanderbilt’s “true” gender — including the fact that he revealed this information to some of her former colleagues — and the way he treated her transgender nature as something unsavory and even shameful. The Kellers’ columns might have triggered a few letters to the editor, or possibly a follow-up interview with Adams, but those would have come weeks or even months later. Similarly, the Vanderbilt story would likely have taken a relatively long time to reach outside the sports audience and find critics among the transgender or any other community — if in fact it ever managed to do so. Many members of the story’s intended audience would no doubt have read it and thought little or nothing of it.